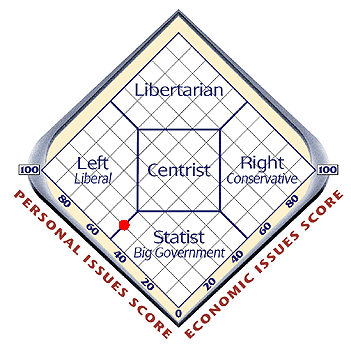 This puts me to the left of the Australian Greens and about as Libertarian as them. Or viewed another way, as left as Robert Mugabe but far less authoritarian. 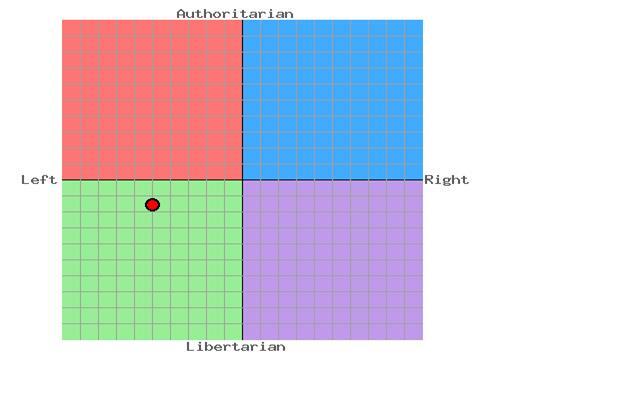 I’m also slightly more left than the Dalai Lama (but not as left as Nelson Mandela) but more authoritarian than him. I’m also slightly more left than Sinn Fein and roughly as Libertarian as they are Authoritarian. Or, if you like roughly as left as the UK Greens but far less Libertarian which is about as left as the German CDU is to the right but only about as half as Libertarian as they are Authoritarian. NB: I would like to thank Julia Gillard’s speechwriters for their valuable assistance in phrasing this post. The National Library of Australia is interested in contacting the author of this blog with regard to its possible inclusion within PANDORA: Australia’s Web Archive. We were unable to locate any contact details onsite and are requesting that if you are interested in your blog being archived that you contact us at: jkim@nla.gov.au and we will send you an official permission request form.